Fan Fit is a smartphone app that helps sports clubs and fans communicate and think more about active, healthy lifestyles. 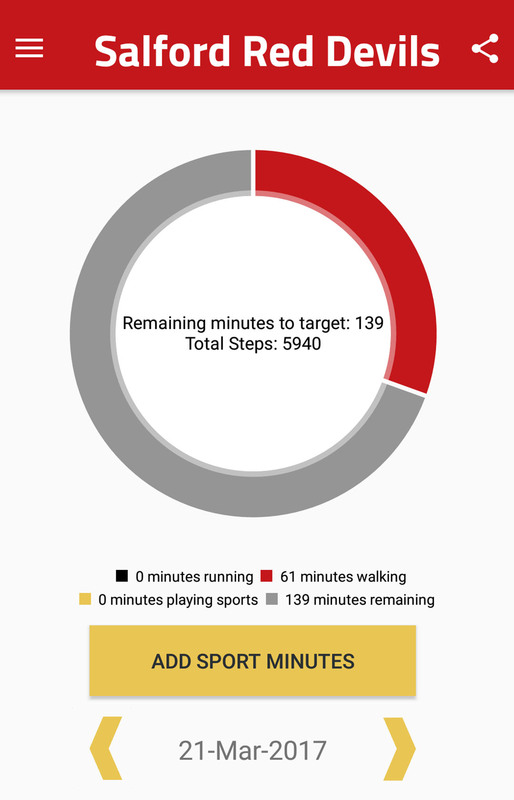 The app is designed to increase fitness awareness and empower fans and players with just a basic smartphone. 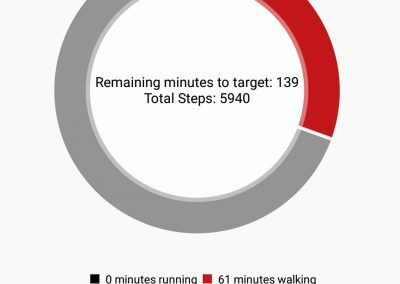 The app can track various activities including walking and running etc. and integrates with social media. 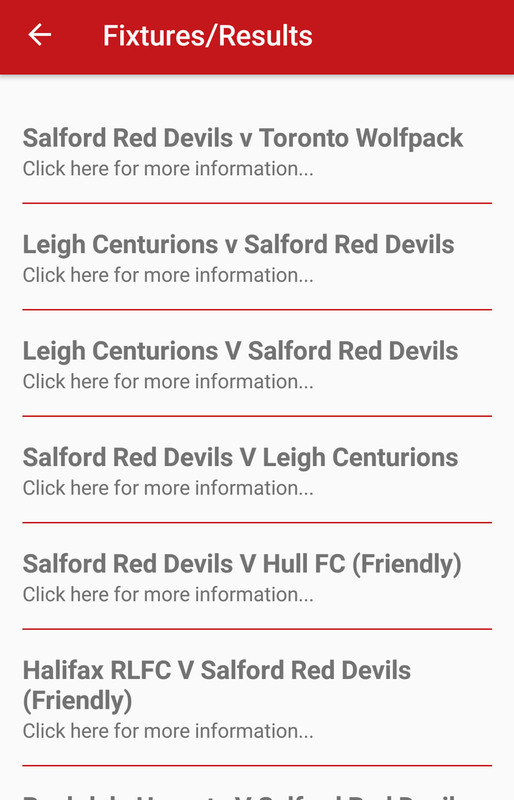 It can be rebranded to a clubs colours and information, take a look at the Salford Red Devils version in the image or download it below. 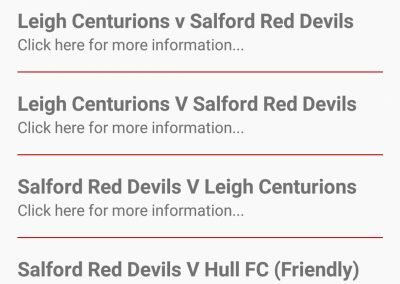 It has been developed from research at Salford University and allows better communication between fans, whilst tracking exercise levels and run competitions with prizes. 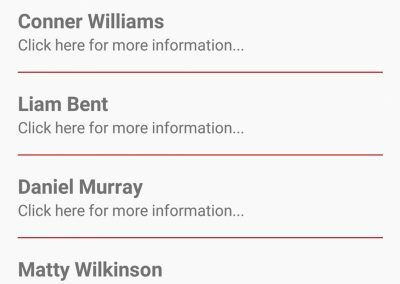 Please also see our support page for any issues or contact us. 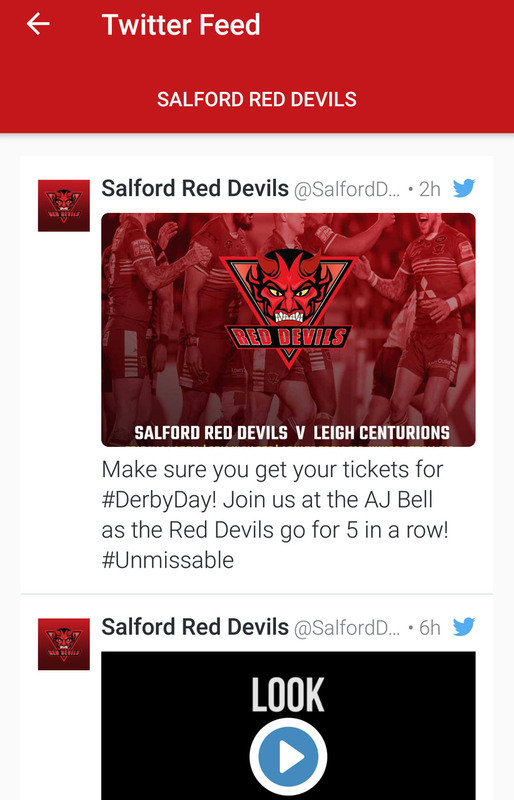 Digital Media, sports fans and communications are key areas of research for Salford University’s Centre of Sports Business and Digital Business, working in conjunction with our centres for Social Business and Health Sciences. 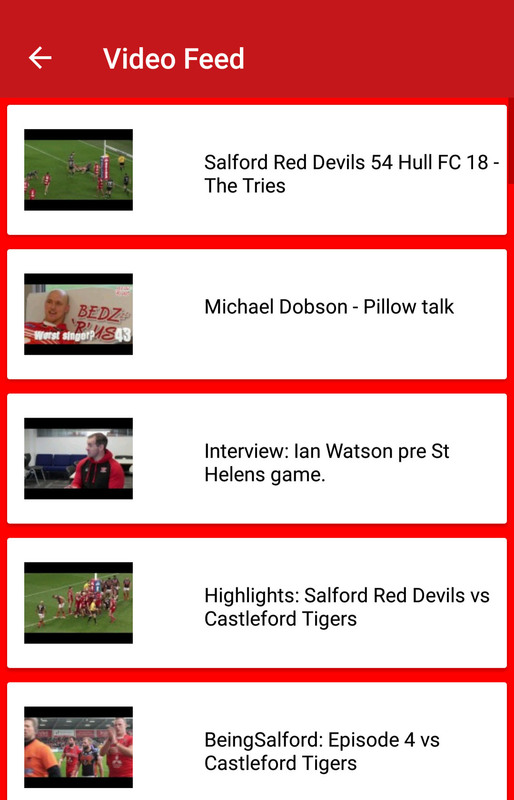 Our research centres on the use of digital communication technologies for sports fans and clubs and crosses over into the growing demand for sports and also fitness apps. 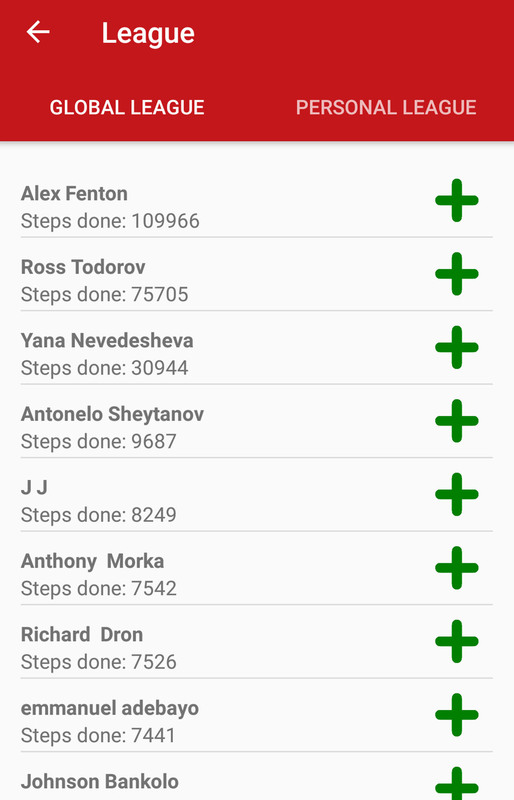 Set yourself a target and track your daily fitness progress. 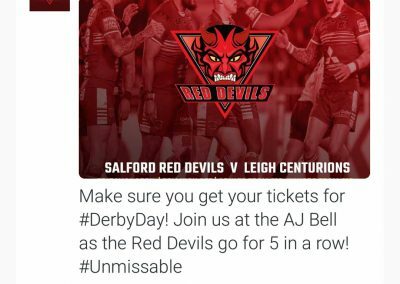 All the latest Tweets from Salford Red Devils. 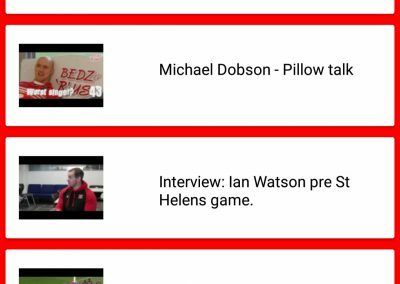 All the latest video updates from the club, from interviews to recent highlights. 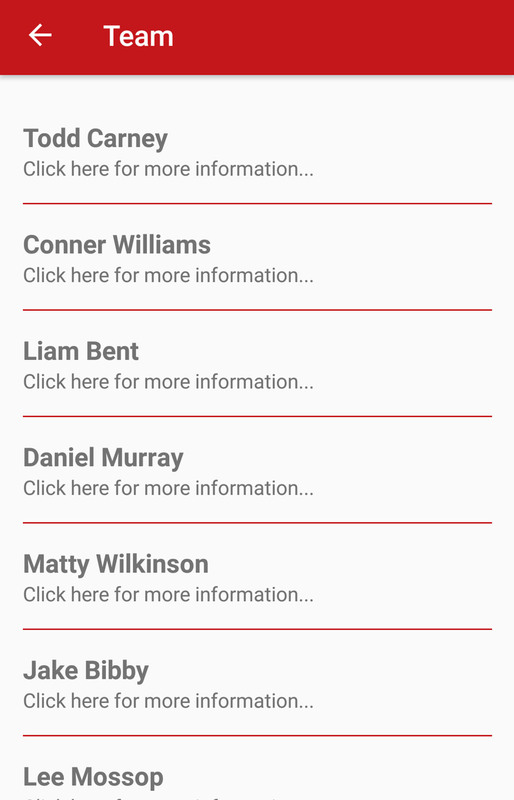 Easy navigation and clear layout for the ease of use for the user. Take a look at all the upcoming features of your chosen sports club. 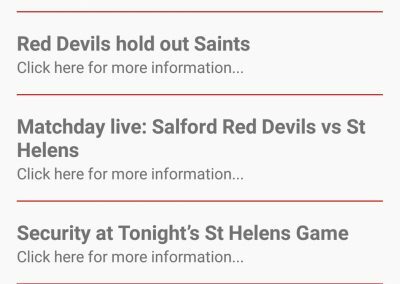 Never miss a game again! 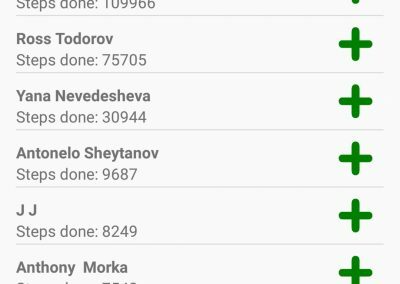 The league feature allows you to compete against your friends and colleagues and track your fitness against theirs. 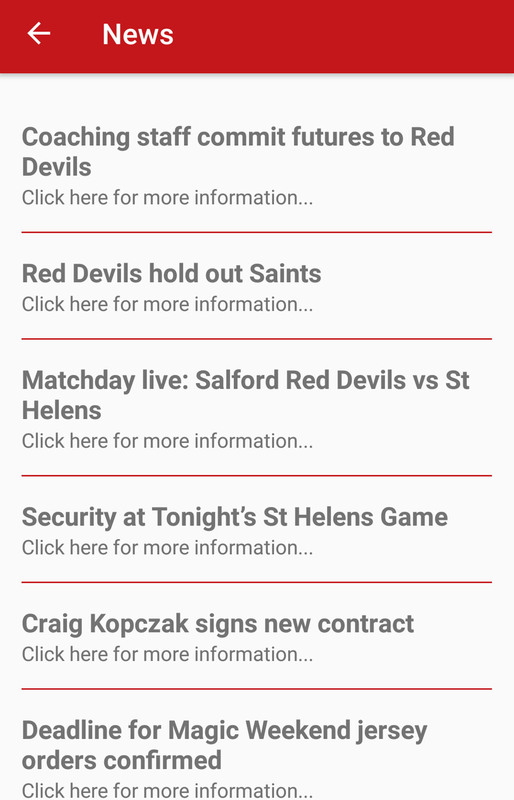 With the news feature, all the information you need about your clubs latest information is in this section of the app. 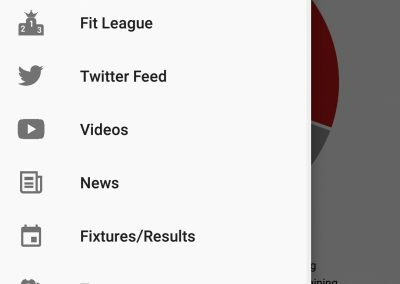 Originally the Fan Fit app was branded Footy Fit, and in this video you will see a visual demonstration of how the app worked. 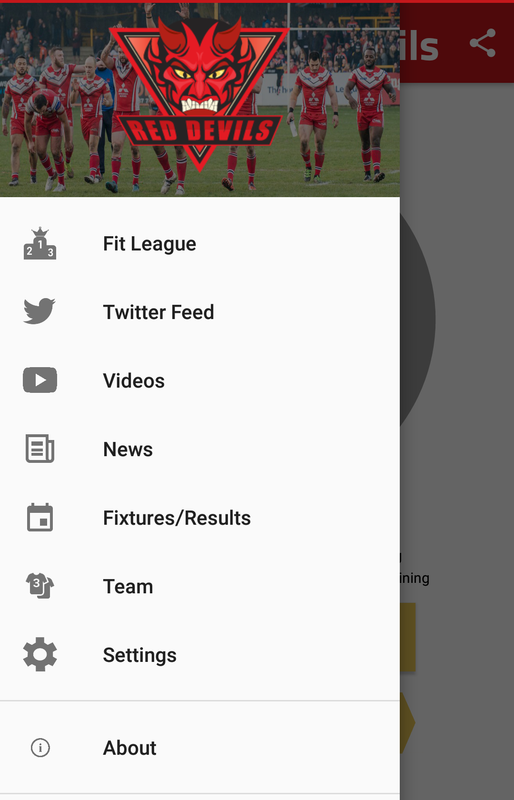 We decided to go down the route of Fan Fit instead, as this is something we believe will reach a wider market, to all sporting clubs and societies.